You probably follow and are aware of your daily visitors, pageviews, and a variety of other statistics surrounding your website traffic. Have you ever thought about or wondered just how many of those visitors are actually bots? It is probably something most of us don’t think about. We see those nice pretty stats in Google Analytics, but we don’t really think too much about the non-human (bot) visitors. Since I like to test out software and services that claim to make things safer, faster, or better I decided to try out another service I had my eye on. The purpose of it is to make my website safer for the most part. It has a few additional useful features, but I was mainly after the additional security it is supposed to provide. It just so happens that it tells me the total visits and the percentage of those that are human and bots. How cool is that! I should mention at the time of this post I have only been using this for barely two days now. In that time frame it tells me 27% are humans and 73% are bots. Not what I would have guessed or expected. I was thinking more along the lines of 50%/50%, or possibly 60%/40%. 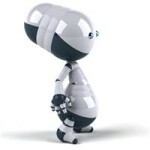 Some people get a little uneasy when words like bot/bots are mentioned, but they seem to be OK with a word like crawler. If I say Google bot or Google crawler no big deal, but if I mention other bots and crawlers some people are ready to block them all. Obviously there are good bots and some not so nice bots. Not all of them are good, but not all of them are bad either. One person may consider certain bots bad, while someone else may just be annoyed by them. Since I am seeing a lot of bots I thought I would look into where they are coming from. I don’t have a lot of time to go through tons of logs and do a thorough and complete examination of every single hit. I do check them fairly often and look for things that stand out as strange and out of the ordinary, or activity that shows up frequently. It didn’t take long to find a bot that showed up over and over again. It is identified as Magpie Crawler from the United Kingdom. Here, in this screen shot you can see it hit 3 of my pages at nearly the same time. Just 4 minutes before that it had visited another page. It says 1 Access Control and 3 Access Control because it did block those visits. In this particular case it amounted to visiting 4 pages in a 4 minute time period. It doesn’t seem to follow any particular pattern, and the frequency comes and goes. It will visit several pages in a few minutes time, then wait 20 or 30 minutes and visit several more. Other times it crawls 3 pages at a time, waits a few minutes and comes back again. This happens all day long. 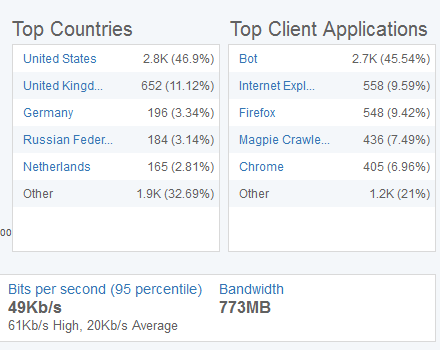 Here in this screen shot you can see in I have had more visits from the Magpie Crawler with 436 (7.49%) than from Google Chrome users with 405 (6.96%). You might disagree with me, but in my opinion there is no reason that this Magpie Crawler needs to visit my pages this often. It visits and re-visits over and over again pretty much non-stop. Google bot is not as active or aggressive as this thing. I don’t have time to do extensive research on it, but I did run a few Google searches to see what other people were saying. It turns out there are quite a few topics about the Magpie Crawler. We are a social media monitoring company, helping our customers find useful and relevant comments and discussion on the web. 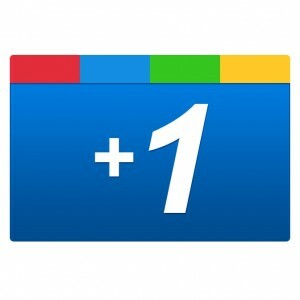 We crawl blogs, forums, news sites, and all kinds of social media content. The content is indexed, much like a search engine, allowing our users to find the pages that mention the words they are interested in. How does our crawling benefit you? In the same way that search engines help people find content, our crawlers make your pages visible to a wider audience. Our application links to your content, directing more people to read the pages on your site. Many large companies use our services to listen to what people think about their brands, products and services, so there’s a good chance your opinion will be heard. That is great, if their crawler bot abides by your robots.txt rules. When I was doing some research there were a couple of sites that said it doesn’t abide by and follow robots.txt rules. I haven’t verified that. It was just what some other sites said. It might be better to block with .htaccess just to make sure if you don’t want this thing visiting your website. It says that their crawler can benefit you because large companies use their services and there’s a good chance your opinion will be heard. Honestly, I doubt very many large companies will see and hear anything I post if any at all. They have a pro plan for £400/Month, an enterprise plan for £1500/Month, and a slightly hidden 7 day pitch plan for £100/month. So what this seems to imply is that they charge their customers a pretty steep fee to watch pages that mention words that interest them. 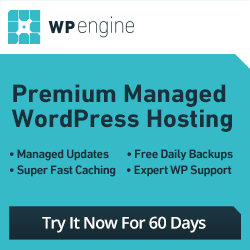 In the long run it costs me additional bandwidth and more server resources just so their crawler can mine my website and sell my info to their customers in the form of a monthly fee. It is not like they are a free public search engine like Google, nor do they make this info available to everyone. So after careful consideration I have decided to block the Magpie Crawler completely. I probably wouldn’t have if their bot wasn’t so aggressive and didn’t visit so frequently. You might say: but you are potentially losing traffic by blocking it. Yes, this is true. However, since they charge a substantial monthly fee the way I look at it is they most likely cater to large business and corporations that will not be interested in my website on a regular basis anyway. If I lose any traffic as a result of blocking them it will be minimal if any at all. Now…one bot down…a few thousand more to go! Yeah, wise move to block the Magpie crawler! I never thought that bots visits can be that much. What service is that you’re using? I wasn’t expecting to see so many either. Kind of bums me out. I am hoping the human visitors will go up and the bots will go down. 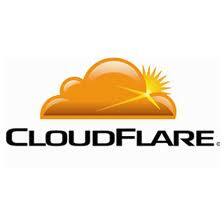 The service is free from Incapsula, which is similar to Cloudflare. There are several differences between the two, which I hope to write about once I have used Incapsula for a week or more. It includes some very impressive security features. It’s a little more complicated to setup, but so far I really like what I see and the control I have. Look for a post about it in the near future. Visits may come into play in terms of advertising. It’s kind of a toss up for me. Some bots I don’t care about. Others are up to no good and I like to keep an eye on them or prevent them depending on what they happen to be doing. There are some I don’t allow at all because in most cases they are up to no good. So far my list is fairly small. There are a handful of certain types I have been blocking for several years now. Maybe I’m kinda naive – what’s the worst thing a bot can do? You said: “prevent them depending on what they happen to be doing;” what’s the worst case scenario? There are some vulnerability bot scanners looking for exploits on your site, script, or code. Of course automated comment spam bots and scripts. There are a lot of sites that end up with links and malware on their site. Whether it’s a result of a malicious bot or a real person I don’t know. I’m not too concerned with every bot out there. I was just surprised to see such a high percentage and now I am a little curious to where they are coming from and what they are doing or looking for. There are a couple of others that are more along the lines of client type or tools that I sometimes call bots that I probably shouldn’t. A few of these are trying to do something bad consistently. Keep the script your site uses up to date, and hope your host keeps their servers up to date and secure is all we can do and hope for the best. I haven’t had a any problems with bots yet and hoping I never do. I have blocked a couple of bots though because I didn’t recognized them and most of them came back over and over again. Most of them are more along the lines of annoying to me, but something to watch anyway. It would be nice to keep the google, yahoo, msn and other bots visits out of our Webalizer logs. Also just seeing the human website visitors/hits and their search phrases would be a great time saver when analyzing the recent visitors. I do like to know if the bots have come but they seem to be crawling more often than not these days -clogging up the stats. Seems like there are more and more bots all the time. A lot more of them in the wild now compared to a number of years ago. I did not have the slightest idea about bot visits, and all I can just think of is how harmful they could be if they wanted to. How come that we only can include exceptions what bots NOT to crawl our site, instead of specifying what bots are allowed to do so? that’s a mystery to me. With the number of sites I watch/manage the amount of traffic I see from bots and not just google is huge! Really wish that all that traffic was human, would be so much better. How are you blocking the bots? Are you using the robots.txt or actually blocking the IP addresses, or are you going off to the owners site and saying please ignore me? 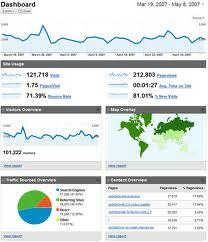 Whats the analytics software you are using? 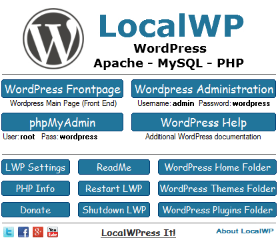 Im just using the WassUp plugin for wordpress myself, along with some google analytics as well. Would be interesting to see what others are using. I usually don’t rely on robots.txt to block anything. There are a lot of bots that don’t abide by it. Usually if I am going to block something I do so with .htaccess. You need to make sure you set the code or rule right otherwise it doesn’t do any good. Blocking ip addresses can work in some cases, but for individuals it doesn’t work that well. 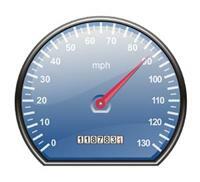 I am testing Incapsula firewall / security which is what the screen shots are from. I has threat prevention features, but I can also block countries, client types, ip or ip ranges, or whitelist ip, and more. It includes some nice analytic like stats too. I am in the early stages of testing so it’s a little early to come to a conclusion. One of my clients just told me today his website isn’t indexed in Blekko. And he want it to be indexed in Blekko. First, i had no idea what that was, but since we were talking about indexing i figured it must be a search engine. Google confirmed. My client told me to make everything possible to get his website indexed in Blekko, for whatever reasons he may have, because i don’t bother to ask these kind of questions. 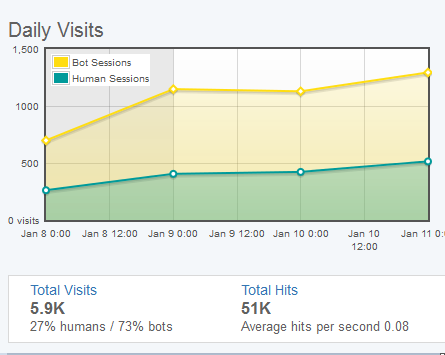 The number of visits by bot is a matter of concern . but I think its good if Google bot indexed your website very frequently or on daily basis.This will help you crawl all the new and added pages. But thanks for making me aware about Magpie crawler. Can’t imagine, never know such a high percentage are bot. You can tell it’s a bot when it says it’s from new york and doesn’t show that they are using a browser. Bots can totally be caused irritation. So I guess blocking them is the best way for you to get rid of these bots. It would be really nice human visits would be much higher than bot visits so at least you’ll get that self fulfillment. I guess bots can be helpful to some extent too. I know some people use things that will post things for them at scheduled times and what not. When you think about it they would be similar to a bot. Absolutely make sense. I’ve seen some people who do it so they could really maximize their time in doing other of their online activities. Honestly, I don’t any problems if bots has high percentage in visiting my site. They do no harm at all. But I really can’t imagine that they do more hits than real humans. I guess it is much easier and more efficient to program a computer bot to do things than to have a real person do the same thing. Yeah, nobody likes to have a hole in their wallet. Hopefully the site would be making enough money at that point. Does anyone know if Google Analytics counts the “google bot crawlers” or any other search engine crawler bots as visits?